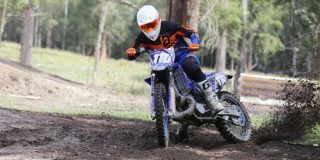 Check out all the action from Round 12 of the Grand National Cross Country Championship at Powerline Park. ADB Technical Editor, Mat Boyd lists his five favourite features of the 2016 KX250F. See what's in store for the final round of the 2017 Monster Energy AMA Supercross Championship in Las Vegas. Highlights from the opening round of the 2016 AMA EnduroCross Championship, Atlanta.